Wash the meat well. Add all the ingredients mentioned above to it and marinate for about 1 hour in a suitable pan. Place the pan on medium heat and cook closed for about 5 to 6 minutes. Lower the heat, add enough water and then simmer for about 40 to 45 minutes till the meat is cooked and the gravy is thick. 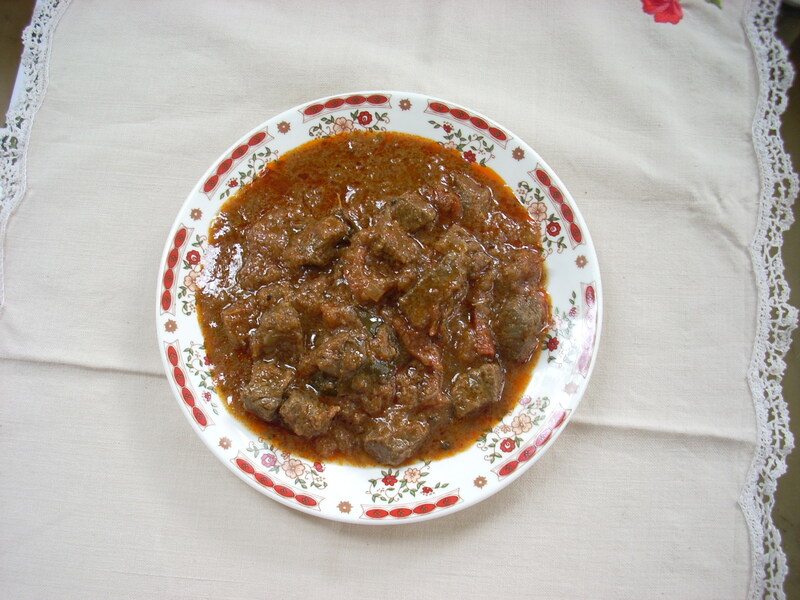 This curry can be served with either bread, white steamed rice, hoppers, chappatis etc. 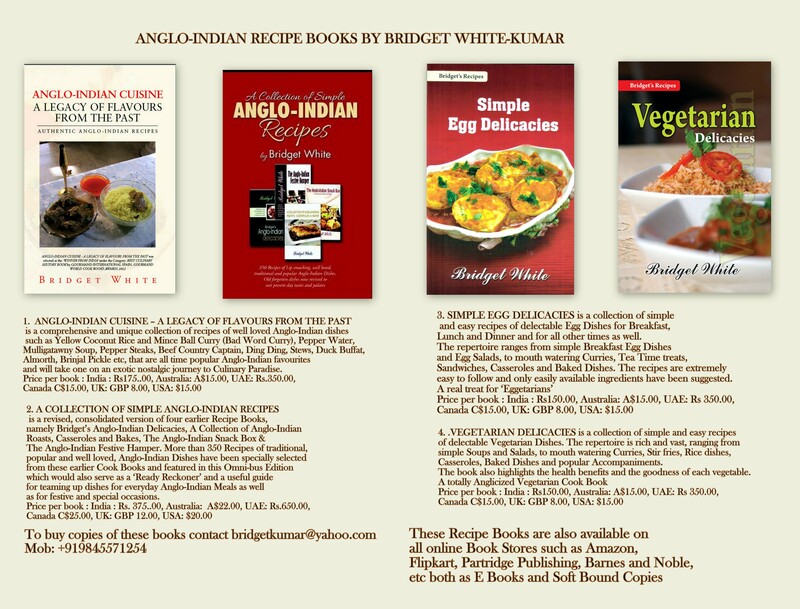 Posted on May 23, 2013 June 24, 2014 by Bridget White-KumarPosted in Anglo-Indian Recipes, curries, meatTagged Anglo-Indian Beef Curry, Beef Curry, curries, curry. 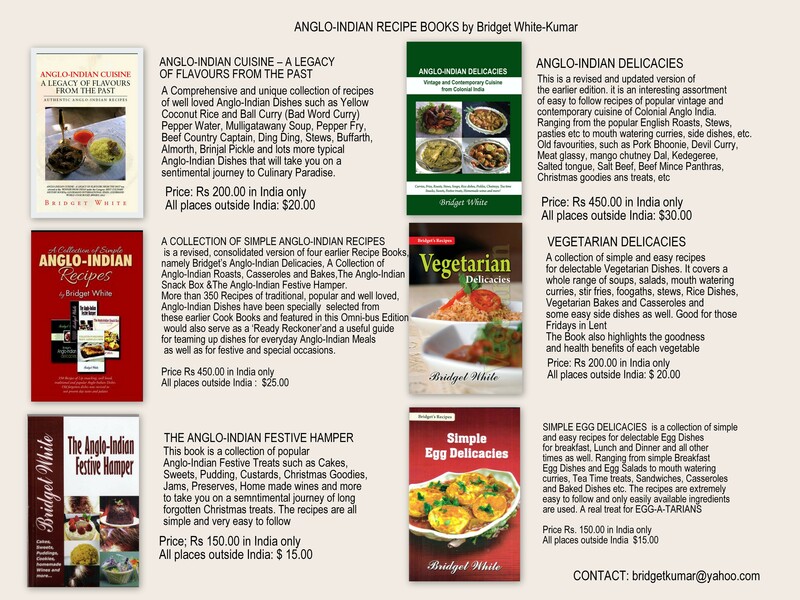 i love dishes prepared in anglo-indian style , makes me crave for more. for all your delious receipes. I can see tomatoes in the picture of the curry but i don’t see it in the ingredients list. Was tomato supposed to be use in this curry? I am longing for some more anglo dishes.